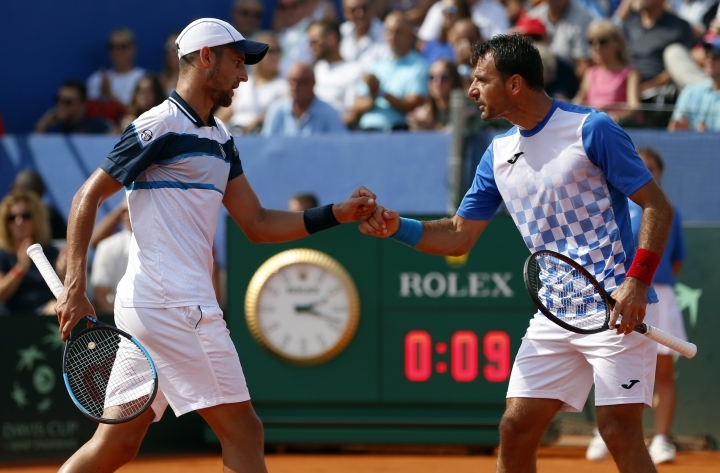 ZADAR, Croatia — Doubles specialist Mike Bryan's decision to come out of Davis Cup retirement gave the United States a much-needed lift. 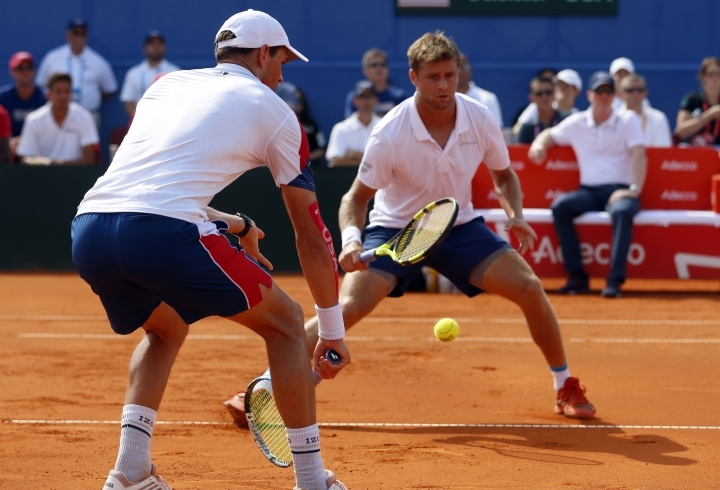 Bryan teamed with Ryan Harrison for the first time and helped the Americans outlast Ivan Dodig and Mate Pavic 7-5, 7-6 (6), 1-6, 6-7 (5), 7-6 (5) over nearly five hours to cut Croatia's lead to 2-1 in their semifinal on Saturday. "It's great to win one for the country — 7-6 in the fifth, on the road and on dirt — this is right up there and I will never forget this one," Bryan said. At 4 hours, 43 minutes, it was the longest Davis Cup match of Bryan's career. 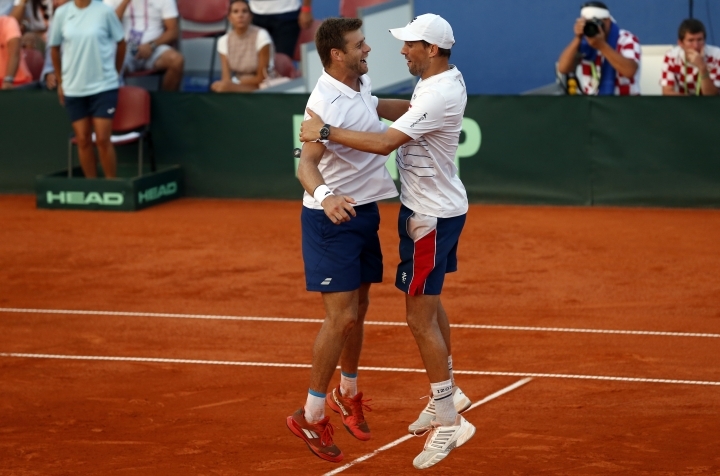 "This is really why I came over and got back in Davis Cup," the 40-year-old Bryan said. "I'm thrilled to give the U.S. one point. We did our job and now we're hoping to give the team some momentum into tomorrow." In Sunday's reverse singles, sixth-ranked Marin Cilic faces Steve Johnson, and Borna Coric meets Davis Cup rookie Frances Tiafoe. The winner on the outdoor clay court along the Dalmatian Coast will meet defending champion France in the Nov. 23-25 final. France beat Spain 3-0 in the other semifinal. 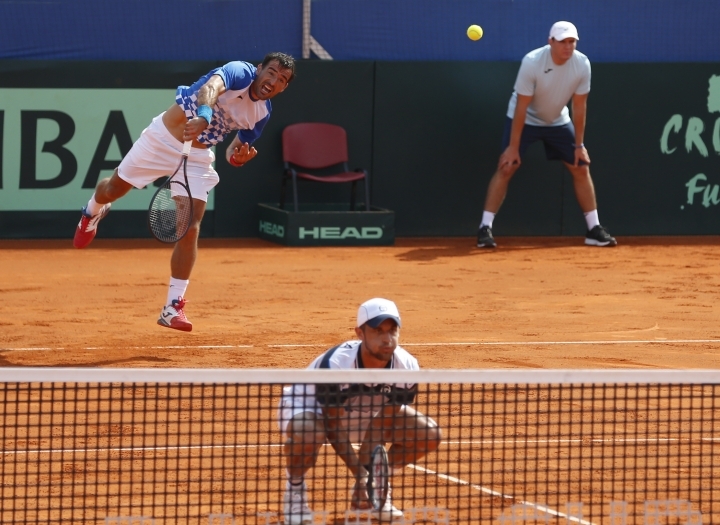 Mike Bryan and twin Bob retired from Davis Cup after the U.S. lost to Croatia in the 2016 quarterfinals. But Mike decided to return while enjoying a stellar season with interim partner Jack Sock. Bryan and Sock won Wimbledon and the U.S. Open. However, Sock hurt his hip during the U.S. Open run and was replaced by Harrison on the U.S. team. 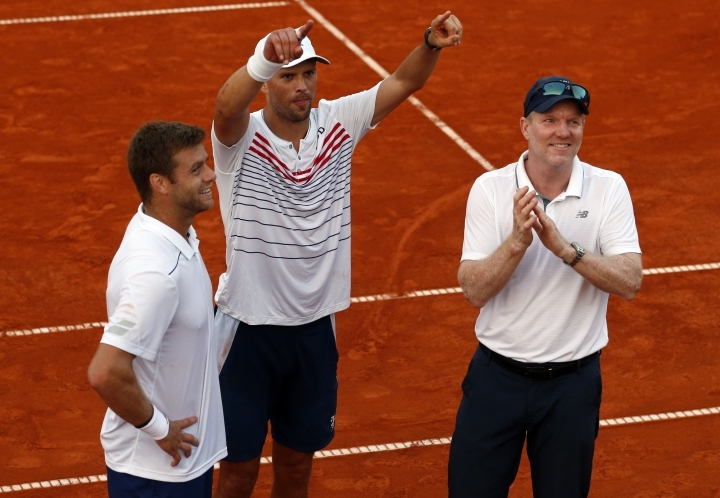 U.S. captain Jim Courier recounted how he met with Bob Bryan to get his blessing before asking Mike Bryan to return after Bob underwent hip surgery. "It's like asking someone's hand in marriage, sometimes you need to talk to the father first, and they're so close I felt like without consulting Bob it wouldn't have been appropriate," Courier said of the Bryan brothers, who have won 16 Grand Slam titles together. "Obviously, they're incredibly valuable — together or separately — so we've been lucky to have them and to have Mike back. He and Ryan really combined well today in a pretty tricky environment." While Bryan's reflex volleys were decisive throughout the match, it was Harrison's forehand return winner that sealed it on the Americans' second match point — silencing a raucous crowd featuring fans banging drums and blaring trumpets. 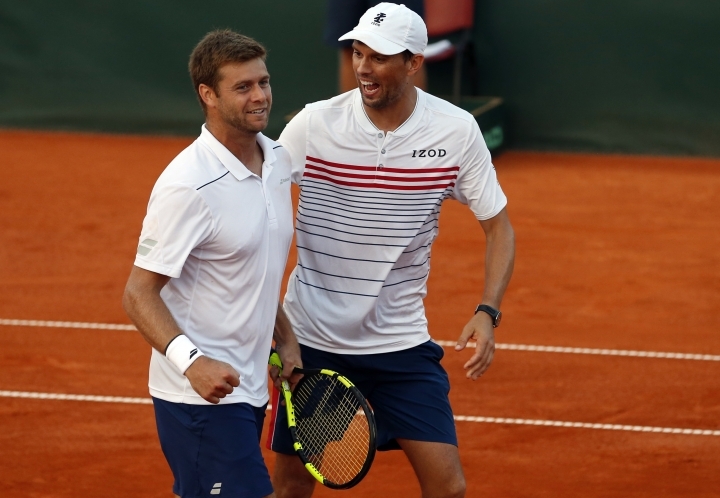 Harrison, who won the 2017 French Open doubles with Michael Venus, helped to clinch both of the Americans' Davis Cup victories this year against Serbia and Belgium. Harrison was appreciative to have such an experienced partner. "Helping me where to be and what to do made my job easier just trying to fight for every point and use the weapons that I have and really help out Mike," Harrison said. Dodig was also complimentary of Mike Bryan. "It's amazing how good a level he's keeping at his age," the Croatian said. "He's still one of the best players in the world and he's proving that on the court. It's a great example for all of us." The doubles result was welcome for a U.S. team that failed to win a set in the opening two singles on Friday. The U.S. is missing its top two singles players — besides No. 17 Sock, No. 10 John Isner is home awaiting the birth of his child. Courier could send on Sam Querrey as a replacement for Johnson against Cilic. "I'm always thinking about stuff," Courier said.